Have a dream of the perfect outdoor living space? It was made possible for this Clemmons homeowner with the help of Archadeck of Greensboro, NC. and TimberTech AZEK Decking. Starting a deck project is always daunting as the blank piece of paper sits in front of you waiting for your deck ideas to emerge. Where do you start? What is your vision? If you could have your dream deck, what characteristics would it have? 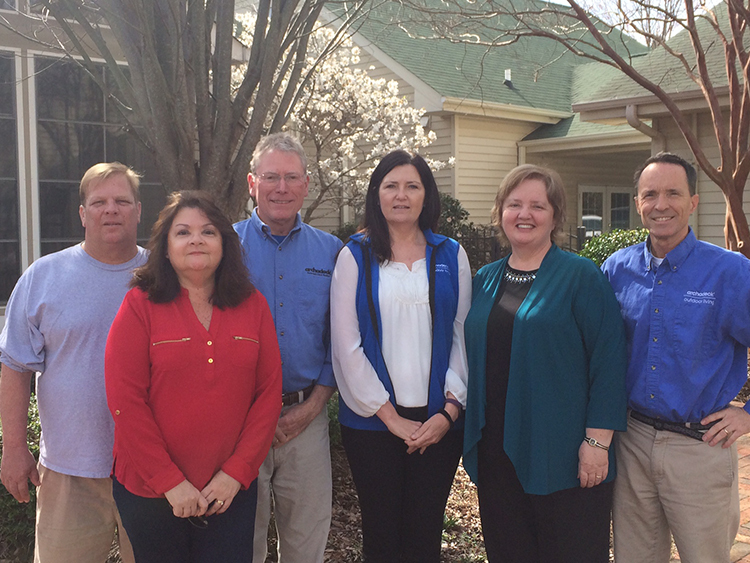 We heard these questions from recent homeowners in Clemmons and here is their story. 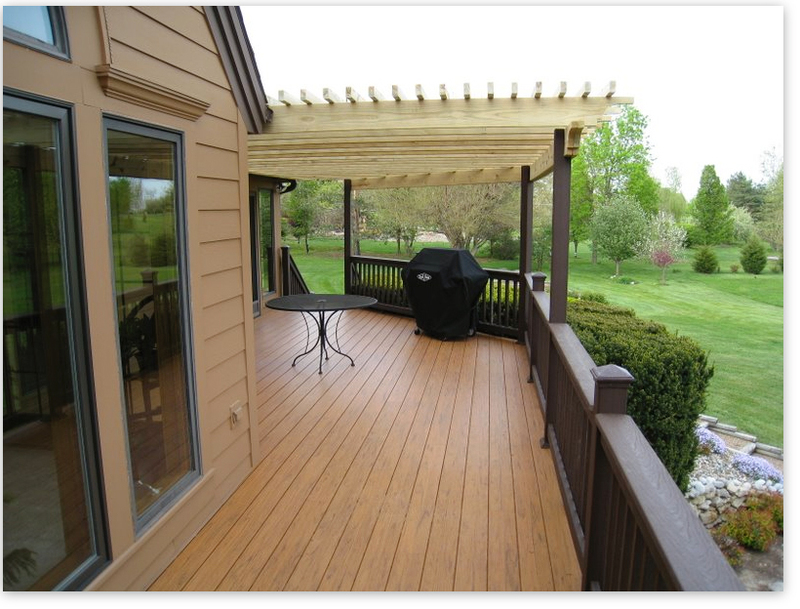 An Archadeck Design Consultant met with the homeowners in their upscale neighborhood and listened carefully as they described the wants and needs for a new deck and outdoor living space. They wanted the deck to feel like an extension of their contemporary home, and they wanted a semi-private space where they could sit with a cup of coffee in the morning or relax with friends in the evening. The deck also needed to fit in with their existing gardens and landscaping. And, because of their busy schedules, they also desired their new deck be made from low maintenance materials that were long-lasting, yet beautiful with a real-wood grain look. After meeting with the couple, listening to their needs and discussing their dreams, our representative took photos and filled out a site sheet. Plans were then drawn and taken back to the homeowners. Once the plans were approved, the drawings were sent in and blueprints were produced. Details were given on everything from building materials and potential construction issues to the aesthetics of colors and design that would best complement the contemporary design of the house. Contracts were signed, necessary permits were acquired, a time schedule was planned and we got to work on the couple’s new outdoor living dream space. For the primary materials, it was obvious from the start that Azek’s Timbertech deck planking was the right choice because of its low maintenance, wide array of colors and handsome wood-grain texture. Pacific Teak, with its rich, tan background and dark brown accents was chosen to pull the house and deck together. Azek’s RadianceRail® (in the color Kona) was the railing of choice as its sophistication, smooth lines and hidden hardware not only matched the dark trim of the house but visually its infill balusters would largely disappear into the landscape and surrounding gardens. Creating the outdoor space presented its own set of challenges. How do you build a space that is private, does not block the natural light coming into the house and works with the existing roof line to maintain a cohesive look? After careful consideration, our Design Consultant came up with the perfect solution. To create the outdoor “room”, a pergola was built on one end of the deck and the beams were placed in such a way as to tuck into the existing roofline of the house. Problem solved. Not only do the open rafters allow light, the pergola creates an outside semi-private room which is the ideal spot for entertaining, grilling or just relaxing and enjoying the surrounding gardens.